We get a perfect fit when cutting your custom glass and we accommodate almost any shape, size and style. An elegant glass shower enclosure is the perfect way to incorporate sophistication and style to your bathroom. Windows and doors make up a huge part of the outdoor aesthetics of homes and business. Our focus is providing our customers with unmatched custom glass services and surpassing their expectations. Our affordable rates is one of the reasons why our company has been preferred for the past 15 years. All of our professionals have the latest knowledge and education about modern glass and mirror techniques. Our custom glass and mirror professionals work until the functional and aesthetic goals are achieved. We offer FREE estimates on all our custom glass and custom mirror projects. 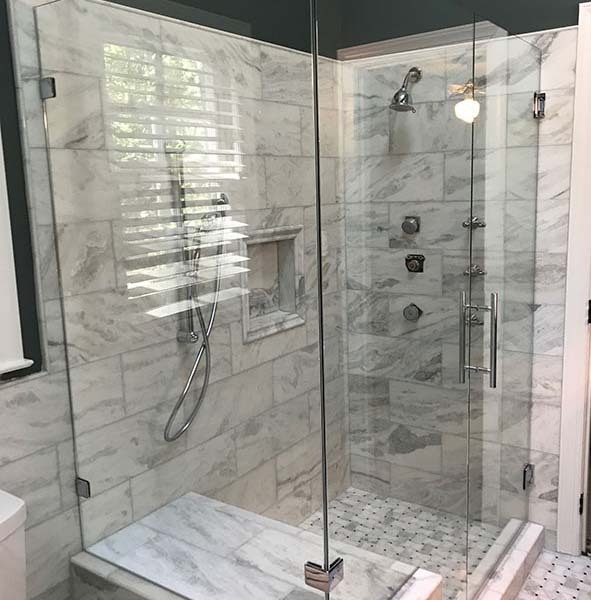 For the past 15 years, we have been the area’s best choice for custom mirrors, enclosures, glass shower doors, table tops, windows, and much more. Our dedication to providing our customers with quality custom glass services at affordable rates is one of the reasons why our company has been preferred for the past 15 years. We make sure that each customer gets high-quality services from our skilled custom mirrors and custom glass professionals. City Mirror & Glass Inc customer service is unmatched. I ordered a custom mirror from a company and a small piece of it was broken. City Mirror & Glass evaluated the mirror and told me that because the glass was very thin, replacing the one piece risked breaking other sections. They took on the project and said they would only charge me if they could successfully replace the broken piece without further damage. Get Your Custom Glass Project Started Today! We are focused on providing a wide variety of custom glass and custom mirror options.